​The pocket watch was dropped off at “Snowbell Watch and Jewelry” on St. Clair Avenue West for service in 1961 .... but it was never picked up! My husband, Leo, and I had eventually found it amongst the tools, parts and remains of stock that had been packed away in storage since the shop closed in the mid-eighties. 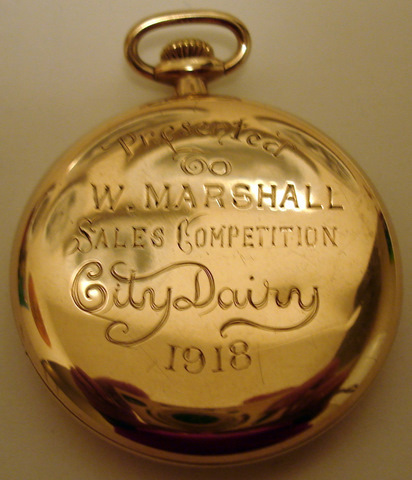 Our goal - to pass this heirloom to the oldest living descendant of W. Marshall, the City Dairy driver to whom it was presented in 1918. Read the full tale here. 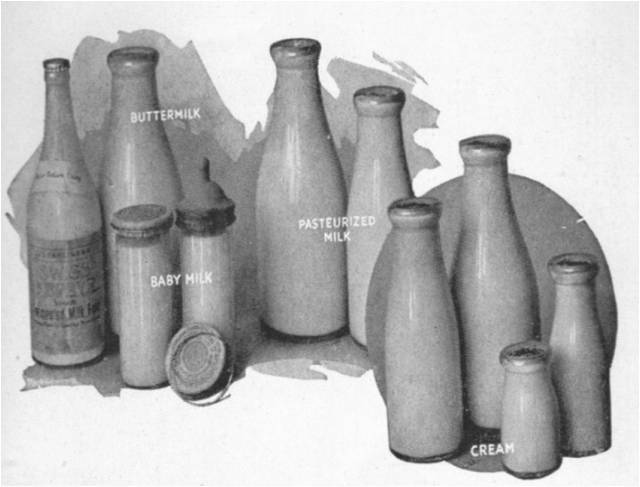 The purpose of this website is to ensure that Ontario's Dairy's history is not forgotten.The goal is to provide information to both collector's and enthusiasts. 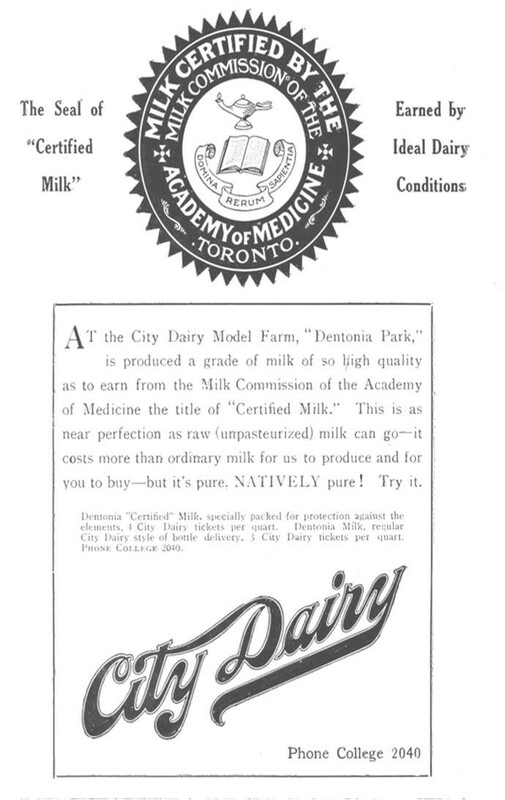 It showcases​ some of the content of two publications that I have completed with added information on Ontario Dairies and the dairy collecting hobby. 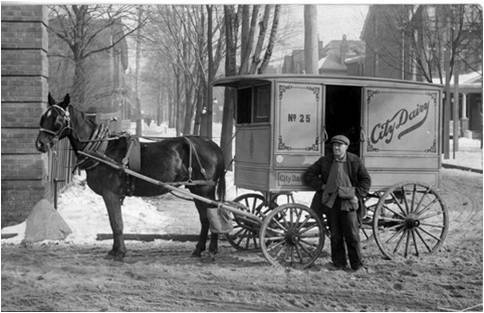 "The horse knew the houses along the route and the milkman knew the people. You could change the milkman but never the horse."